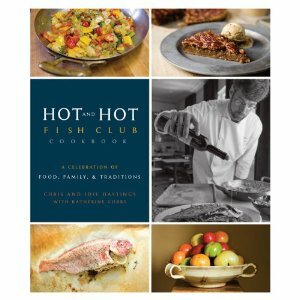 The Hot and Hot Fish Club Cookbook by Chris Hastings– Hot and Hot Fish Club is a gem of a restaurant here in Birmingham. Located in Birmingham’s Southside district Hot and Hot offers fresh local seasonal ingredients prepared in a uniquely bright southern style. Executive Chef Chris Hastings and Hot and Hot have gifted us all with an intimate look into the life, philosophy and kitchen of one of the South’s best dining experiences. Make sure to not miss the Chocolate Souflee, Four Fig Tart and their Study of Heirloom Tomatoes. Good Eats vol. 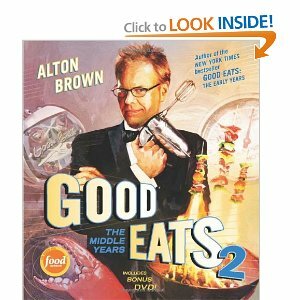 1 & 2 by Alton Brown– Alton Brown is my all time favorite television chef. He is the culinary equivalent of Mr. Wizard, but instead of teaching you about balloons and static electricity you learn about things like how to make an emulsion and that what we call cinnamon is really an impostor spice!!! His zany, smart and information saturated style is translated perfectly from the Good Eats show onto the pages of these first two of three encyclopedia size volumes. 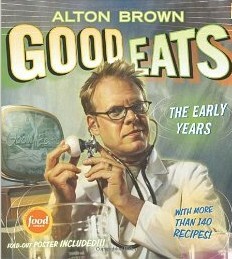 Alton Brown not only gives excellent recipes for standards and classics, he also provides solid foundational techniques and methods for both the beginner and the seasoned cook. I own both books and highly anticipate the third volume of this culinary library! Tartine Bread by Chad Robertson-I am enlisting the help of one of the top recommended bread books from one of the top bakery’s in the country to guide me and give my journey a firm foundation from which to launch in my bread making endeavor. The Tartine Bakery in San Francisco is world-renowned for its loaves that are as beautiful to behold as they are to devour. 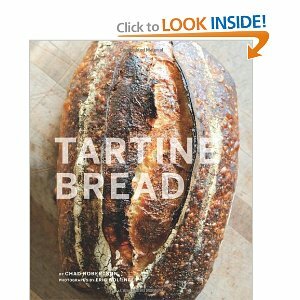 They have produced a beautifully illustrated and arranged self titled book called Tartine Bread, detailing their unique technique . This book is both challenging and poetic in nature. While I am just now delving into this book, its composition and depth have already won me over. If you are thinking about venturing into the world of Bread making I encourage you to let Chad Robertson and the crew at Tartine be your guide.